So back in November I got myself a Moke! I've had loads of Minis since passing my test, everything from a 1960 Austin Seven, through a Mini Pick-Up to a late Rover Mini Equinox. I've always liked Mokes since I first saw one, so when one came along at the right time and the right price it would have been rude not too! Home for the 1st time! It's in really good condition having been restored a few years ago and then never used. 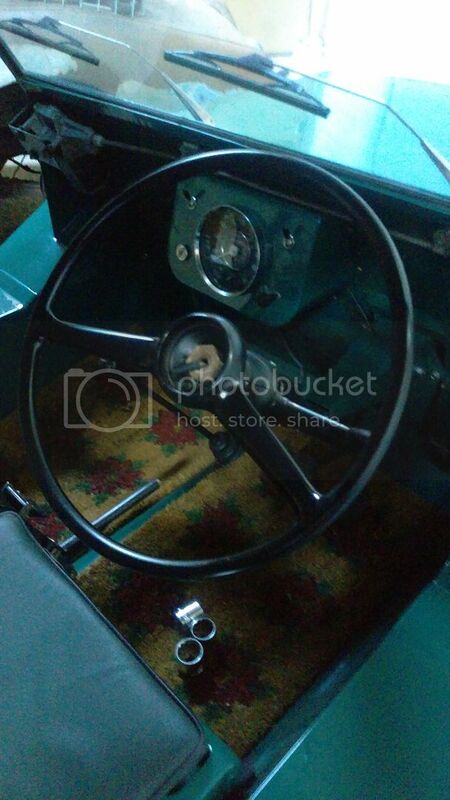 It also came with the original steering wheel, wheels and 850cc engine (Currently a 998 fitted). Over Christmas I sanded down the steering wheel and got it painted up and ready to go on the car. I'm still trying to track down the correct horn push in decent condition. 1st trip on public roads since 1987!! When the weather was good the other week it was taken out for a good hour long run and ran well in the main, the only issues being it was hard to get it into gear at time and it boiled over just as we got home. So a task for this week is to get the cooling system properly flushed out and refilled. 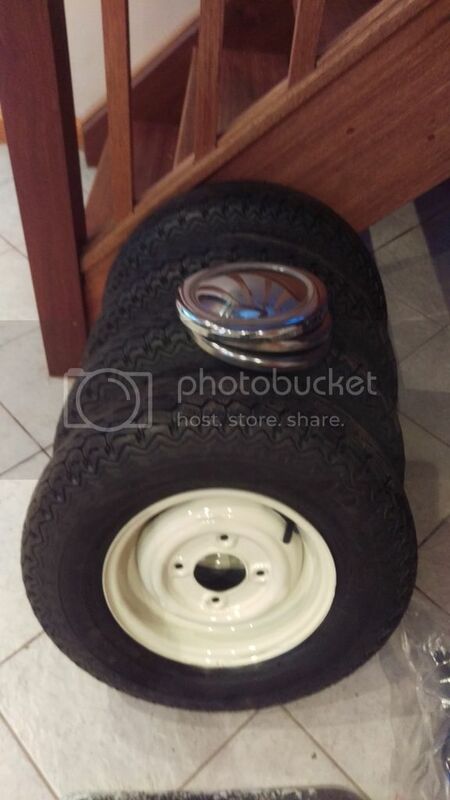 Today I've picked up the refurbished wheels and I'm looking forward to getting them fitted! I'm looking forward to the summer and getting it out and about to a few shows! That looks immaculate. It will look even better once the wheels are on. As Dean says, good looking Moke. So when are you coming out to play? We have lots of great events on this year so take your pick. I'm not sure which if any events I'll make it to this year! However I'm definitely going to try. 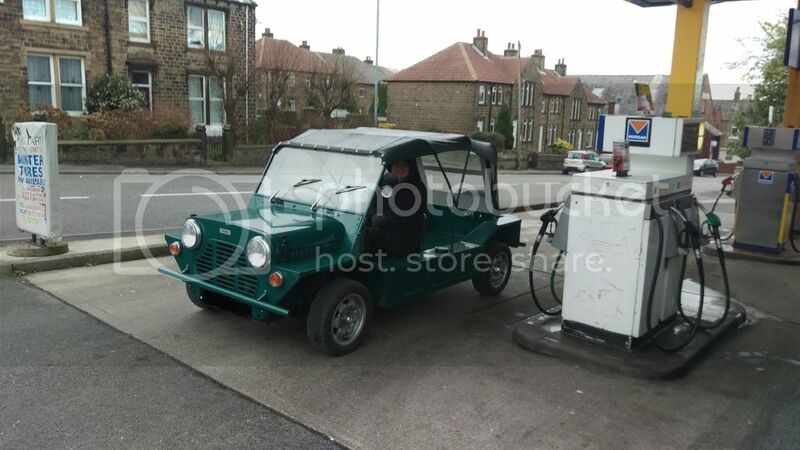 I've got the Moke booked to attended a local show, Hebden Bridge Vintage Weekend and hopefully I'll make a few more too! I guess you are somewhere in North Yorkshire so how about the event at Goathland April 22- 24th? See other events for details. While my Cubs not ready I have an Anglia that I could take over. 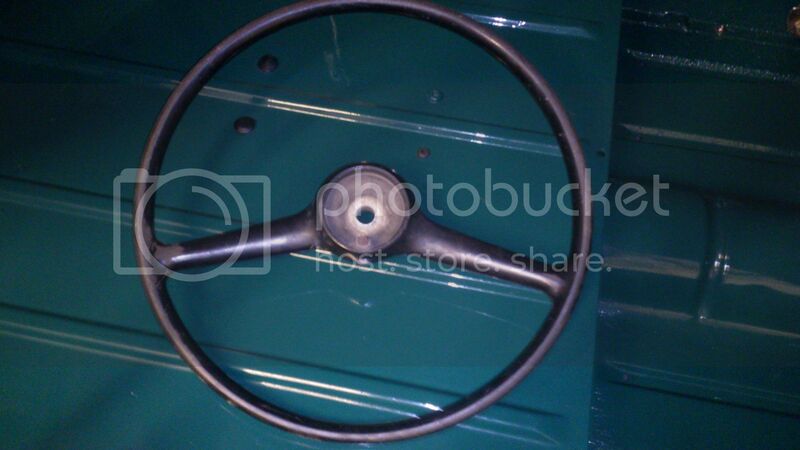 Try an add in the 'wanted' section for a steering wheel centre boss. Yes it normally is a really well attended event! I took my Austin Seven last year on the Sunday and the mix of cars there was brilliant. I'm West Yorkshire, sadly I'm working that weekend so can't get there. It's certainly one I'd like to attend. 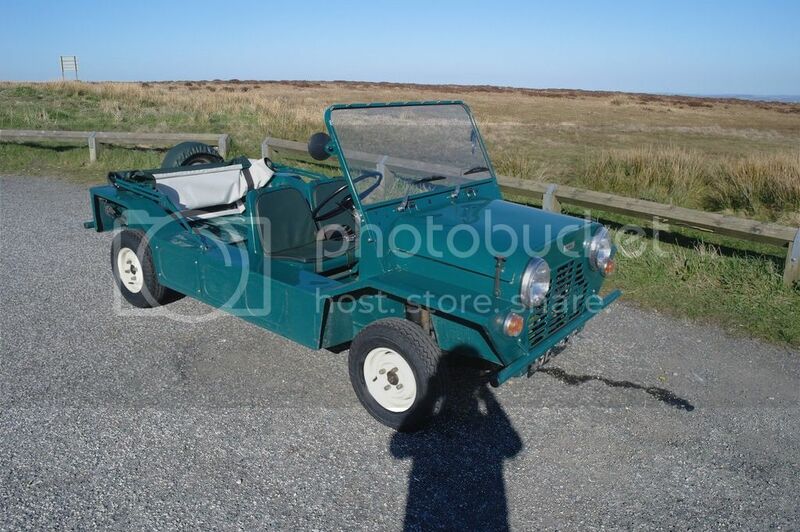 Unfortunately the Scimitar has needed some work to get it through its MOT so the Moke has been left alone for a weeks (and is currently stuck in the garage thanks to a Scimitar with no fuel in it!)! However a horn push arrived the other so I have got that fitted! 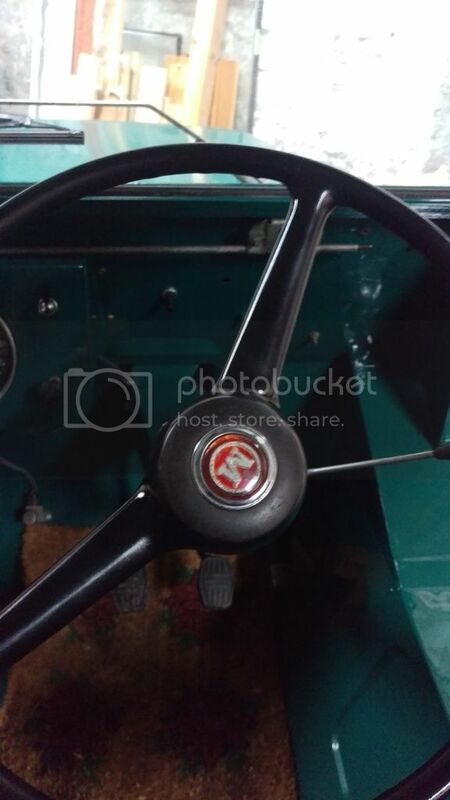 Out of interest what kind of floor mats would a Moke have had originally if any? Have a look at the thread 'Australian floor mats' under Hoods/Seats, theres some useful tips/contacts for flooring. I got the refurbished wheels fitted today and went for a little run out! 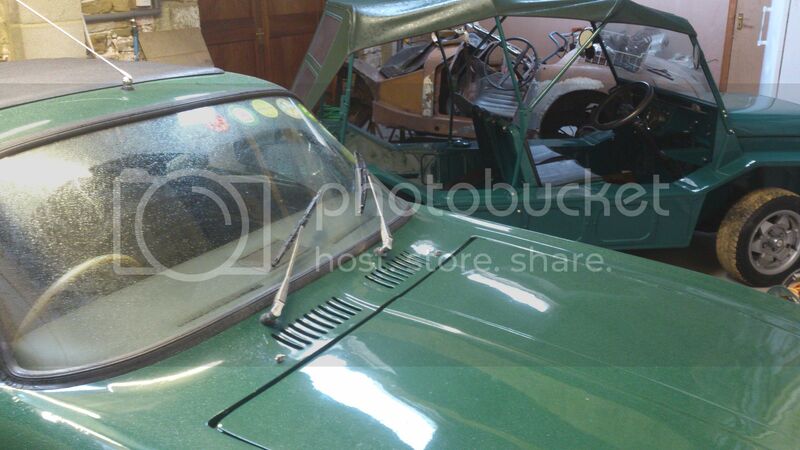 I am quite envious my Moke is still in the garage. 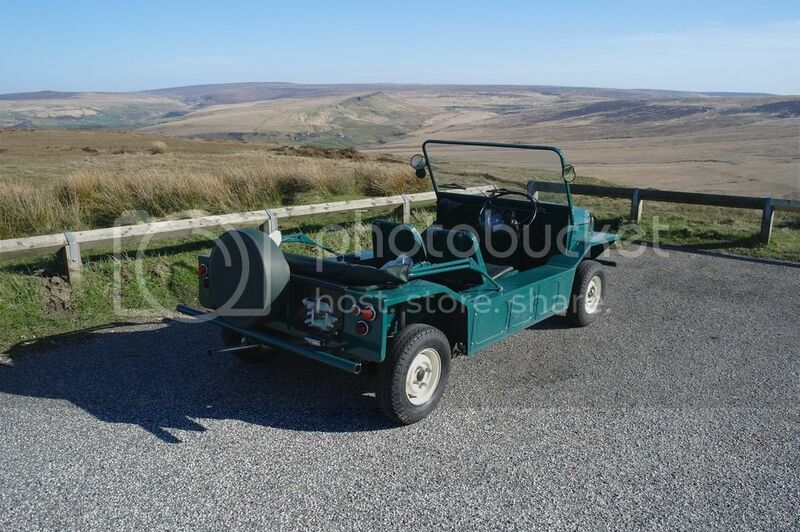 I bet that it will be raining at the weekend when I might be able to use the Moke. I like the original wheels they make the car look complete and look as it should. But then I am a purest.